We’ve all heard or seen the adverts. Accidents happen – and yet someone must be to blame and must pay the price. We find it hard to cope with the concept of ‘accident’ or ‘human error’. These days if anything goes wrong we feel that someone, somewhere, must be to blame and that it’s important that they accept the consequences. We’re encouraged to think, “Who’s to blame?” Simply human fallibility is no longer seen as an allowable option. It seems from today’s gospel reading that people haven’t changed all that much over the two thousand years since the death and resurrection of Jesus. People, then, as now, avidly discussed the latest news of death and destruction and tried to understand its significance. We do not know precisely what tragedy some people told Jesus about on the day that our reading originally took place. All we know for sure is that several Galileans were killed in or near the temple by Pilate’s soldiers as they prepared to offer their sacrifices to God. Nor do we have a record of the tragedy involving the collapse of the tower in Siloam that killed eighteen people. All we know for sure is that then, as now, tragedy struck and people died and still other people talked about it, and tried to make sense of it. 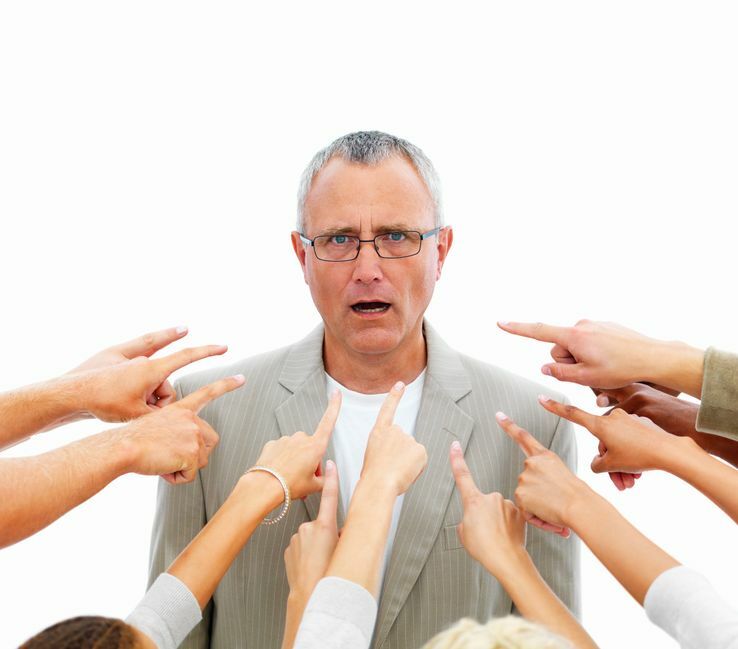 Someone must be to blame – most probably the people themselves, or their parents. At the time is was a common belief that if tragedy struck it must be your own fault or that of your parents. Such an attitude is less common, though still around today – often people nowadays put the blame somewhere else. Whenever bad things happen, whenever senseless things happen, human instinct is to try to make sense of it. And so often people end up blaming God. Why was our son taken from us in that accident? Why not someone else? Why did God allow that mother of three children die of cancer? Why did God let that earthquake happen? We all want to make sense of the senseless, we want to know why certain things occur, and that is often a good thing. For example – when buildings collapse, like the tower in Siloam collapsed, investigations are done to find out why so that, just perhaps, such a tragedy will not occur again. Some people, in their quest to understand, reveal that they have a complete lack of compassion and sensitivity. The implication was that Neil somehow deserved what had happened to him or had brought it upon himself. And such appalling attitudes are, sadly, far too common even among Christians. We must take our lead from the example set us by Jesus, who did not point the finger of accusation but reached out with hands of compassion. In a previous parish I, along with the other clergy, used to take communion into a local hostel for those dying with AIDS. This was in the 80s when AIDS was still relatively new and threatened to be an epidemic in the UK, it was very much feared and still seen as a gay disease. The cook was a member of a local church – not an Anglican one. She told me how fellow members of her church had said to her: “How can you work in such a place – it’s their own fault those people are in there!” Again, the implication that somehow people deserve what happens to them – just as in today’s reading, the implication is made by the people talking about the Galileans killed by Pilate that they somehow they deserved to die. And, sadly, an attitude all too often taken by Christians today about people who suffer misfortune. Compassion seems to just go out of the window. There is a way to make sense of the senseless, but that way is not to blame the victims by suggesting that somehow God brought about their death, or whatever other mishap has occurred to them as some kind of punishment. By that standard no one should be alive today, for as Saint Paul says “all have sinned and fallen short of the glory of God.” Jesus suggests that we make sense of the senseless, not by condemning the victims of tragedy for their complicity in their own deaths – but by considering our own mortality, and our own sinfulness, and working to produce fruit befitting our salvation before we are called to account for our lives before his eternal throne. We do not point the finger of accusation but stretch out the hands of compassion. The message of Jesus, like the prophets before him, is that all of us deserve to experience the wrath of God, but that God does not seek our deaths, nor does he delight in our suffering, rather he calls us to live by his gracious law, and by the power of his Spirit and the wisdom of his living word, so that we might be able to stand before him at the end as one whose work in this life has been well and truly done. As the parable of the unfruitful fig tree in today’s gospel reading tells us – God expects us to be fruitful for him. He expects us to produce that which is pleasing to him, lest we be cut down and perish like those we think have somehow deserved their deaths. That same parable tells us that God is in the business of giving us second, third, and indeed even fourth chances, chances to get things sorted out, and do that which is pleasing to him, but that, when all is said and done, there is a time of reckoning that we must all face. All of us are in need of the gracious forgiveness of God. And it is God’s purpose and intention that this should happen to us. Through the labour of his Son – Jesus – he works to make us all that we should be in this life, and he gives us every chance we need. God gives us time to repent on one hand and what we need to become productive for him on the other. Jesus calls us to make sense of the senseless by giving our own lives meaning before we are called home to God. The question isn’t whether or not other people’s death make sense, whether or not they have deserved their deaths at the time and in the manner that they came to them, but whether or not our lives make sense, whether or not they are fruitful for God, whether or not we are ready to reach out to care and to fight for justice for anyone who suffers no matter the because, and whether or not we are ready to meet our maker. As people seeking to show Christ to others we are never to point the finger of accusation, only to reach out the hands of compassion.